There’s a happy ending on the horizon for an infant with a heart condition who caused a social media controversy. Hudson Azera Bond, born on July 18, 2014 at Duke Children’s Hospital in Durham, North Carolina, began to show signs of a heart condition called cardiomyopathy when he was about a week old, according to his website, HudsonsHeart.org. His parents, Kevin Bond and Samantha Stevens, found out little Hudson would need a heart transplant. They turned to Facebook to raise funds and support. Bond created a Facebook page for his son, called Hudson’s Heart, and decided to pay for additional advertising to circulate the fundraising effort farther and wider. To his surprise, however, he received a notice from Facebook saying his request had been denied based on the image that accompanied his ad, according to his website. Bond was disturbed by the misguided comparisons between his struggling child and graphic content. Several media outlets reported Hudson’s story, ultimately putting enough pressure on the social media giant to apologize. In addition, Bond wrote that the ad was time-sensitive and that Facebook hindered his cause by reversing their decision days later. He added that the apology was not given to him directly, claiming he had no idea it existed until he read it on other media outlets. A huge swell of support for the family from the online community followed. 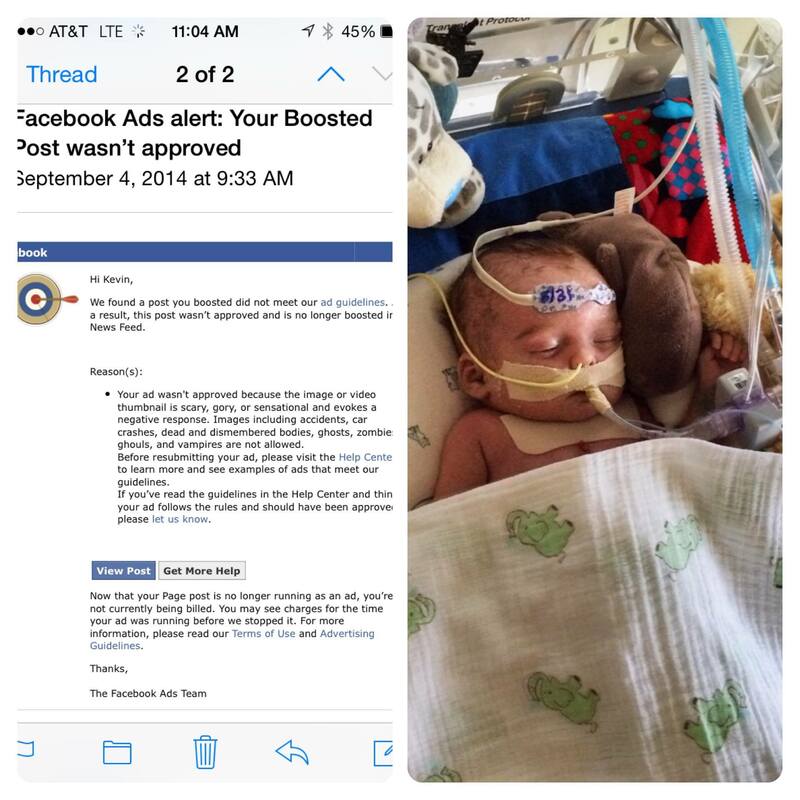 Many people posted pictures of their own children in hospital beds, hooked up to tubes and machines, just like Hudson, to protest Facebook’s actions. Also, donations to Hudson’s Children’s Organ Transplant Association page poured in, with a total of nearly $142,000 raised to date. Eventually, Facebook realized its error and tried to make it right, according to HudsonsHeart.org. The company called Bond and apologized, explaining that an automated system had wrongly flagged Hudson’s photo as inappropriate content. In addition, they offered a $10,000 Facebook advertising credit. The family decided to try and do some good with this gift. Half of the Facebook credit was given to Eliza O’Neill, a 4-year-old girl with a metabolism disorder called Sanfilippo syndrome, whose family is raising funds to enter her into a clinical trial that could possibly save her life. And now, after all the controversy, some good news exists. 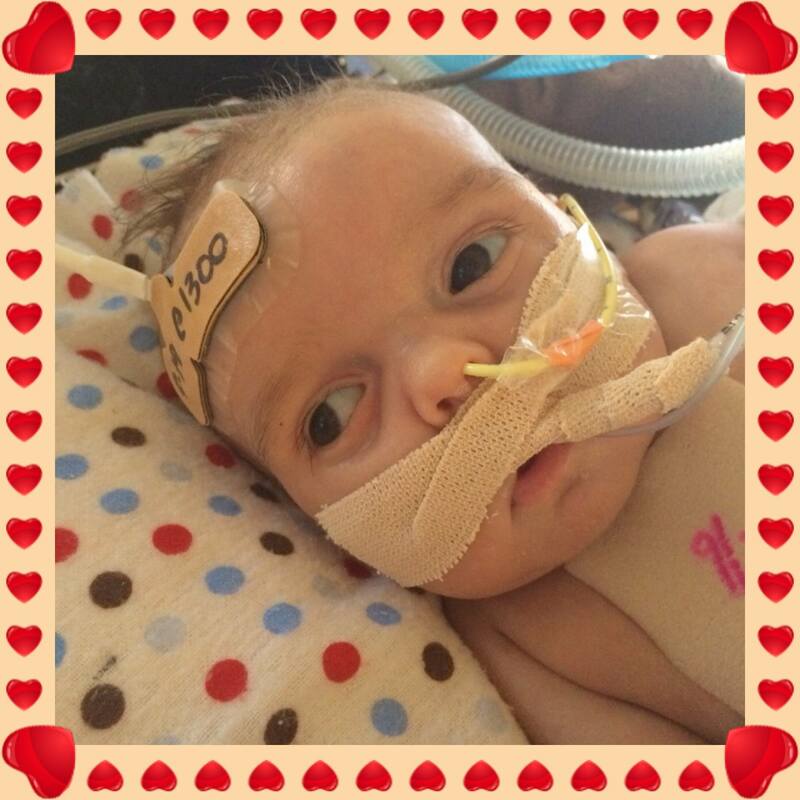 Little Hudson has finally received a heart. 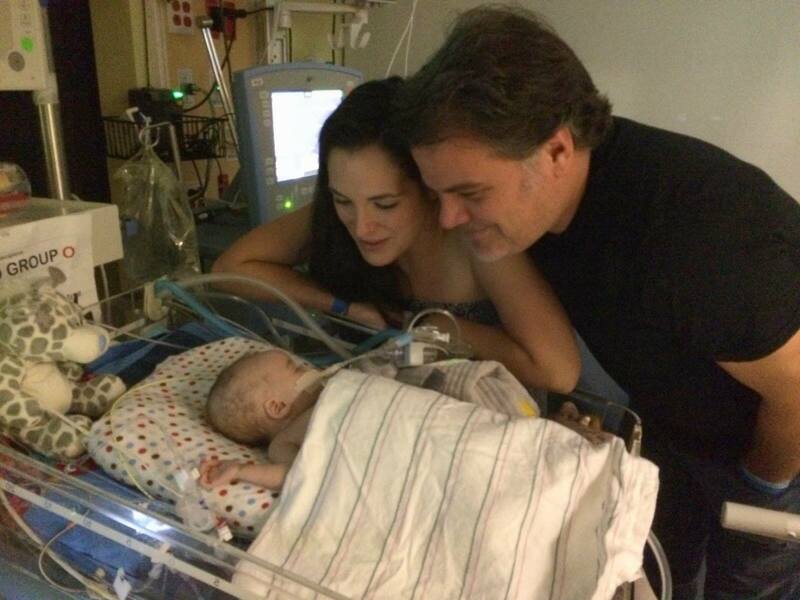 On Monday, September 22, the 2-month-old went into heart transplant surgery, according to his Facebook page. It’s a happy ending, tinged with sorrow for the organ donor’s family — but certainly appreciated by Hudson, his family and his newly-gained thousands of online supporters.